Can Tottenham still finish high this season? Manchester City has been the team everyone has focused on based on how they have mesmerised their season so far. However there are other teams doing some great stuffs underneath that hasn’t gotten enough coverage. Tottenham is one of those teams. The North London club got a draw at Wembley against another London side, West Ham in a local derby. This has however not made their season not worthy of a mention so far. 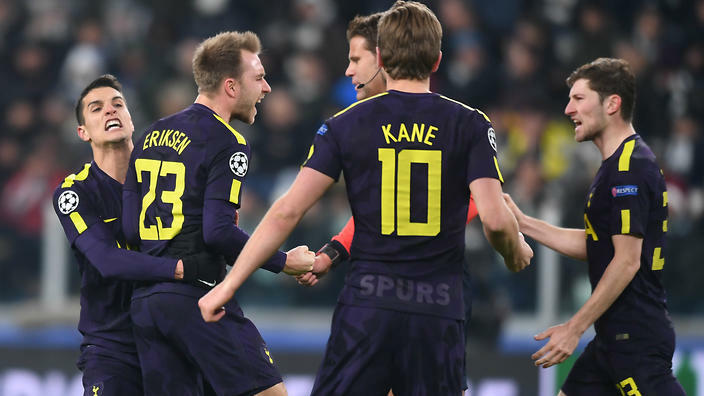 It is understandable when people see Spurs as a team that bottled every opportunity to achieve beyond their capability. This is a reason why many never wanted to place any faith or made it a reason to study how well they have fared this season. Their season has to be measured from different optics this season. Moving out of White Hart Lane to Wembley for the club to expand the stadium to over 63,000 capacity is a giant stride Daniel Levy and his board are doing at Spurs. Also losing Kyle Walker, a player from their academy leaving at his peak to a rival club is a demoralising situation for the club. Another view point is the fact that they fought for the league title favourably upper season and last season to the very last moment but eventually bottled those opportunity. So thus sea is expected to follow that line where they fight for the league and lose out on the last few games. They have however not been doing either. It is imperative to note that winning the league is what comes after meticulous planning and spending and any team who does the league without both and win, like the Leicester case has to be an outlier and it only happens in rare cases. So no matter the way you see Spurs, it has been a great season so far and they will look back and say we finish better than what many thought of us when the season starts if they can mange to get a champions league spot finish which is very likely to happen.